Regency at Upper Dublin is a 55+ community in Dresher, Pennsylvania. This brand new active adult community will host 105 beautiful single-family homes upon build-out, giving residents a low-maintenance lifestyle where they can put away the shovel and live life as they please. With the planned amenities, homeowners within Regency at Upper Dublin are sure to lead an active lifestyle that's socially fulfilling. Regency at Upper Dublin is located in Montgomery County, PA. It is conveniently located across the street from several stores, restaurants, and Interstate 276, which will take residents directly to all that Philadelphia has to offer them. Although not yet built, current plans call for several amenities within Regency at Upper Dublin. A proposed 6,200 square-foot clubhouse will be the heart of the community. Indoors, residents will have access to an exercise room for staying in shape. There will also be a gathering room for community events as well as card tables and a catering kitchen. The amenities will continue outdoors, starting with a pool and patio. Enjoy some friendly competition on the bocce ball court or take in the beautiful natural space in the community while jogging along the walking and biking trails. Development began in 2016 and will contain 105 single-family homes upon completion. These homes range in size from 1,889 to 2,315 square feet and offer two to three bedrooms, two or two-and-a-half bathrooms, and an attached two-car garage. These elegant homes will offer expansive foyers, covered patios, and large walk-in closets in open floor plans. Life within Regency at Upper Dublin means enjoying a low-maintenance lifestyle in a fun and exciting community. Spend the warmer months playing bocce ball with friends or join a game of cards indoors. Homeowners will also have more time to do as they please thanks to a monthly fee that provides lawn care, snow removal, and landscaping. Regency at Upper Dublin is located in Dresher, PA, outside of Philadelphia. Just down the street from the community is a large shopping center for everyday needs, including a Walmart Supercenter, restaurants, Sam's Club, Lowe's, and a PetSmart. Willow Grove Park Mall is also a couple of minutes away for your next shopping spree. Getting around town is easy with Interstate 278 less than a mile away and, for farther travel, Philadelphia International Airport is 35 miles from the community. Dresher has several opportunities to play a round within the city, hosting Twinning Valley Golf Course, LuLu Country Club, Huntington Valley Country Club, and several more courses in the immediate area. Outdoor enthusiasts will love being near Buehler Park Nature Area, Memorial Park, and Fort Washington State Park. Big-city entertainment is always accessible with Philadelphia 20 miles away and Bethlehem just 38 miles from the community. For luxurious active adult living, Regency at Upper Dublin will have everything you're looking for in Montgomery County, PA. 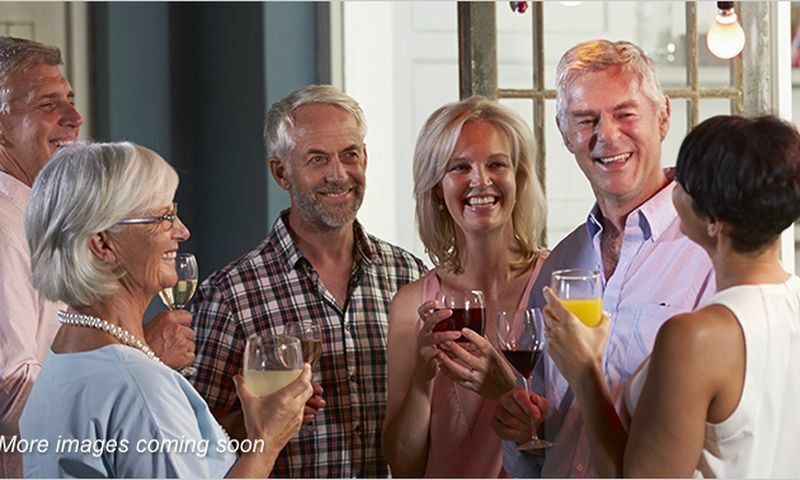 Check back soon for more information on the lifestyle in Regency at Upper Dublin. Development of Regency at Upper Dublin began in 2016 and the community will contain 105 single-family homes upon completion. These homes range in size from 1,889 to 2,315 square feet and offer two to three bedrooms, two or two-and-a-half bathrooms, and an attached two-car garage. Please Note: Floor plans are not available at this time. 55places.com is not affiliated with the developer(s) or homeowners association of Regency at Upper Dublin. The information you submit is distributed to a 55places.com Partner Agent, who is a licensed real estate agent. The information regarding Regency at Upper Dublin has not been verified or approved by the developer or homeowners association. Please verify all information prior to purchasing. 55places.com is not responsible for any errors regarding the information displayed on this website.